Recently, they have also opened up the Mandalay International Airport for some international flights from Bangkok and Singapore as the number of foreign visitors to Mandalay has been growing rapidly. Before landing Myanmar, make sure you do a bit of research on how to get around, tag along with the people and get used to the transportation system. In this post you are going to find the best guides and tips recommended by travellers around the world who have visited Myanmar. There are plenty of companies and tour agents to choose from. One of the most important things to keep in mind is to be clear about the destination, price, and duration of the trip. In some major bus routes such as Yangon - Bagan, Yangon - Mandalay, Yangon - Naypyidaw, bus conditions from large highway express bus operators such as Elite and JJ Express are excellent. The coaches are new and comfortable with soft seats and air-conditioning. 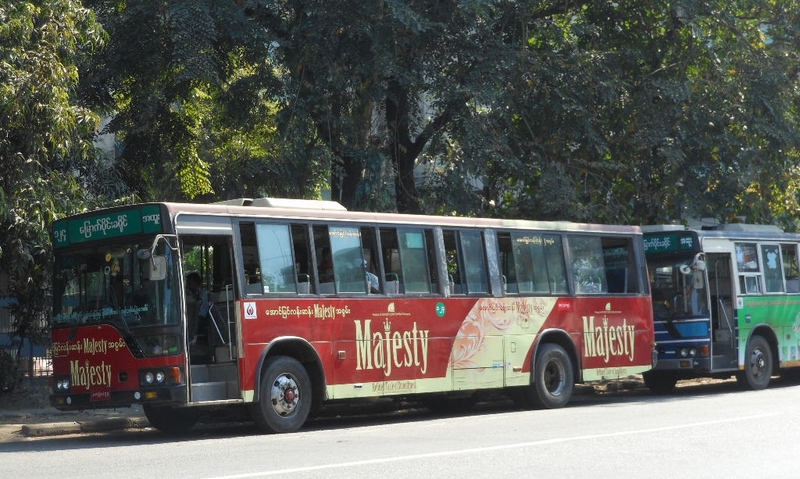 However, some routes such as Bagan - Mandalay, the operators use mini-buses. Usually bus schedules are only confirmed within 7 days prior to the departure. During low seasons, buses may run less frequency on daily schedules. Buses in Myanmar are most likely faster and cheaper than train and plane. Train ticket price for foreigners is different price and higher than local price. For bus tickets, you can easily book ticket or check the price via Scapetour. If you book bus tickets via Scapetour, you can avoid hassle of buying ticket after you arrive Myanmar. However, Scapetour will charge a small booking service fee for arranging ticket. #1 Essentials & valuables Always take with your most important and expensive items (wallet, passports & papers, gadgets, etc.) especially if you travel alone or if you want to get out of the bus in the middle of the trip for a short break. #4 Earplugs - Some buses in Myanmar may be very loud as Burmese music and movies can be playing on the TV till late hours, make sure to bring good quality ear plugs or earphone to listen from your own ipod. The wonderful experience you would get with travelling comes not only from what you see or do but also most importantly who you are with. Talking to the bus driver, a local you meet on the road or a fellow traveller seating next to you can be useful to enhance the experience. Especially if you are travelling alone, these people would help you in most cases such as getting lost, robbed or failing to return to your bus on time after getting out for a short break. Book easily via online with Scapetour today to secure your itinerary!